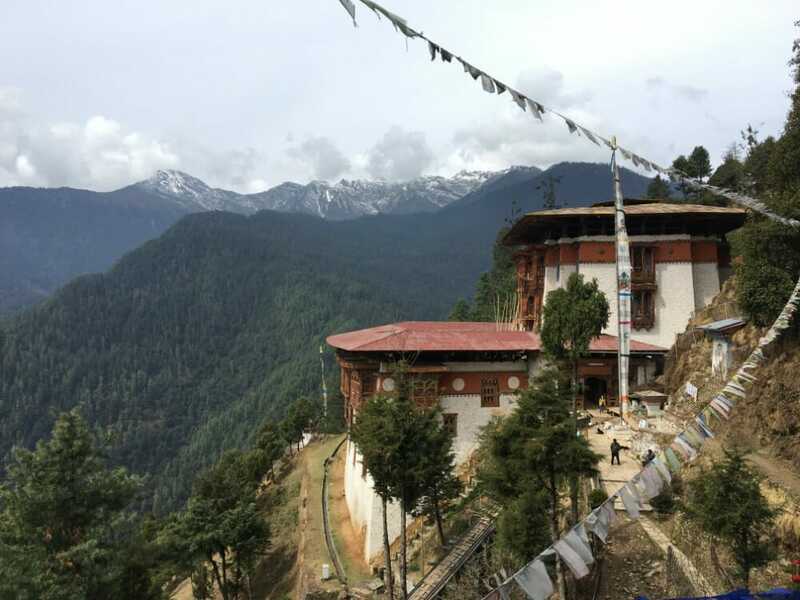 Product Description: Our 10 Days Central Bhutan Expedition with Bumthang and Trongsa covers: Tiger's Nest Temple Hike, Gangtey Monastery, Phobjikha Valley, Bumthang, Chendebji Chorten, Jampa Lhakhang, Tamzhing Monastery, Mebar Tsho, Wangdicholing Palace, Trongsa Dzong, Punakha white water rafting, punakha farmhouse. Welcome (Joen pa Leg So) to Bhutan! You will go on a very extensive and enriching Bhutan trip through this 10 Days Central Bhutan Expedition. 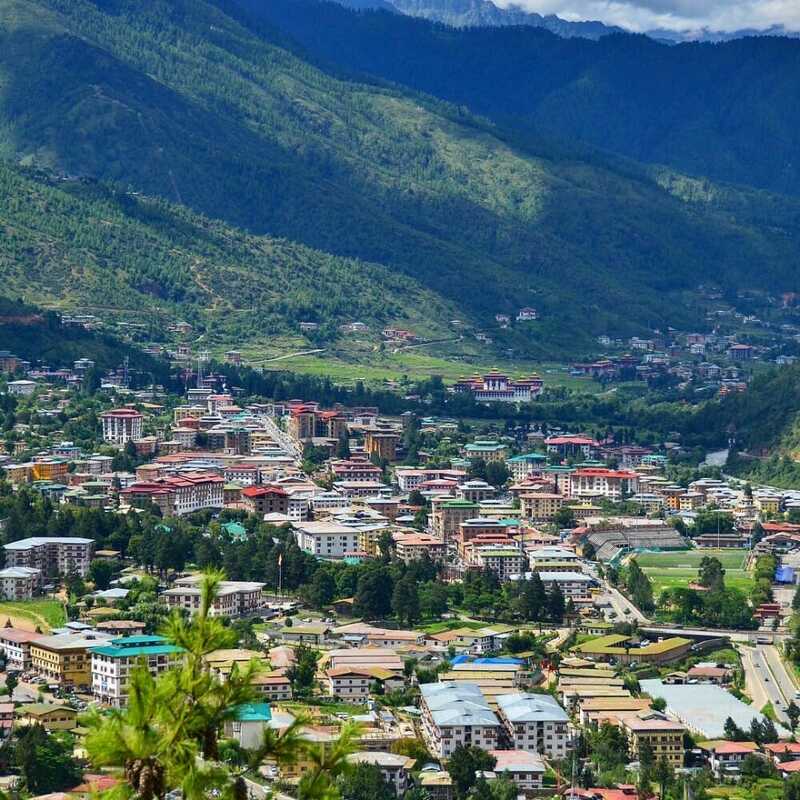 Upon your arrival in Paro airport, our professional local guide will pick you up and transfer you to Thimphu, the capital of Bhutan, in a 1-hour car ride. After checking in at your Thimphu hotel, you could refresh yourself a little before we go for our Bhutanese lunch. After lunch, our first Bhutan and Thimphu attraction will be Thimphu’s School of Arts and Crafts. This school was established to promote and preserve Bhutanese arts and crafts through Bhutanese youths. Next on our Thimphu day tour programme is Thimphu’s Folk Heritage Museum. This special museum is in the form of a primitive Bhutanese farm house that is still in existence in many rural areas. After this visit, you will understand the Bhutanese traditional and way of life that much better. Your Thimphu excursion definitely cannot miss a stopover at the Great Buddha Dordenma statue. This enormous statue is one of planet earth’s largest Buddha statues and it contains 125,000 gold-plated bronze miniature Buddhas within it. Your first night of your Bhutan holiday will be spent in the comfort of your Paro hotel. Day number two of your 10 Days Central Bhutan Expedition will be a journey to Phobjikha Valley. Right after your breakfast, we will drive to Phobjikha Valley (Gangtey Valley). 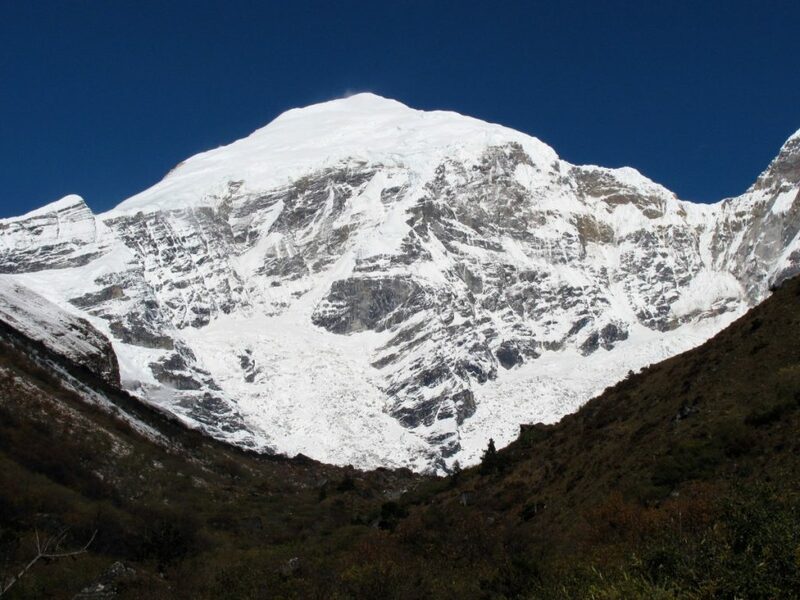 On the way to the valley, we will make a brief stop at the Dochula Pass. 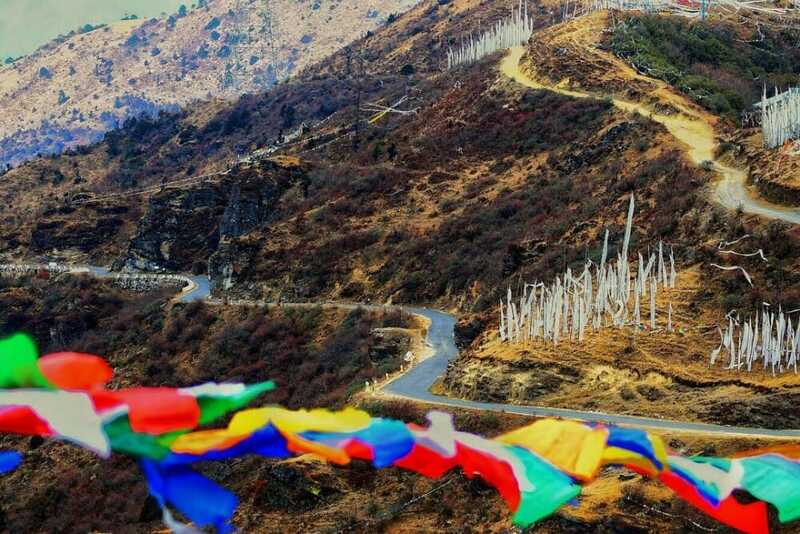 This is a popular mountain pass famous for its 108 memorial chortens and its majestic views of the Himalayas. We will then pay a visit to the sacred 15th-century Gangtey Monastery before reaching the sensational Phobjikha Valley below it. 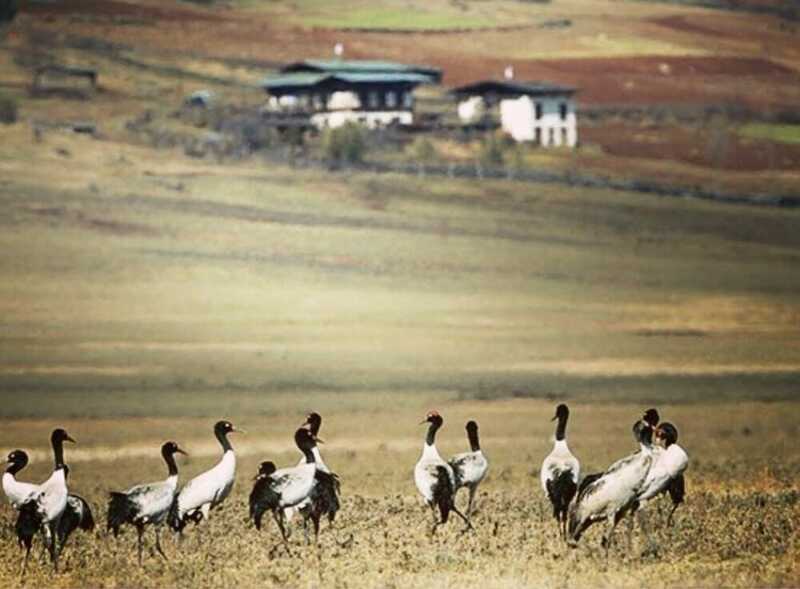 This valley is the migration spot for the graceful black-necked cranes that migrate here annually from Tibet during the winter months of October all the way till February. In the evening, take a leisurely walk and roam the little town to enjoy real Bhutan ambience. The second night of your Bhutan trip will be at a Gangtey hotel. Wake up to a wonderful 3rd day of your 10 Days Central Bhutan Expedition. Once you are done with breakfast, you will leave Gangtey Valley and drive to Bumthang. Along the way, you can drop by Chendebji chorten. After our lunch today in Trongsa town, we will continue our drive to Bumthang. En route, we will do some shopping for woollen products at a specialty store. Your Bhutan vacation’s third night will be spent in a cosy Bumthang hotel. 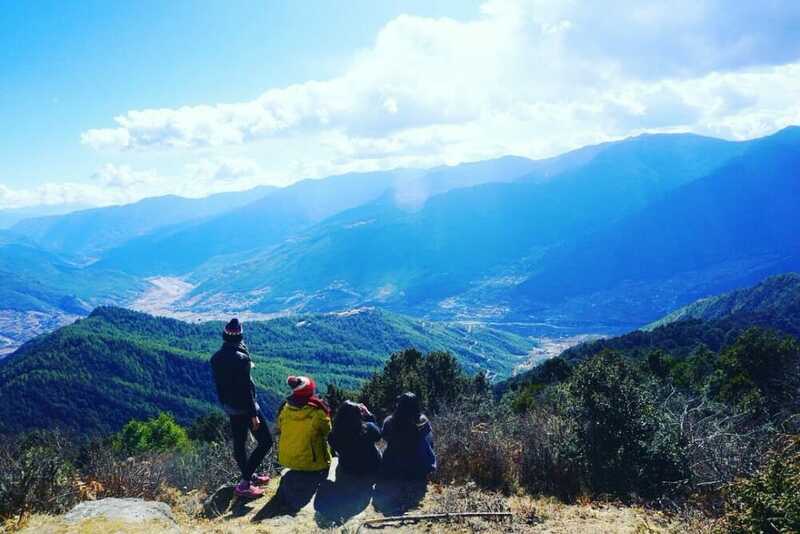 This 4th day of your 10 Days Central Bhtuan Expedition will be a full-day Bumthang Tour. 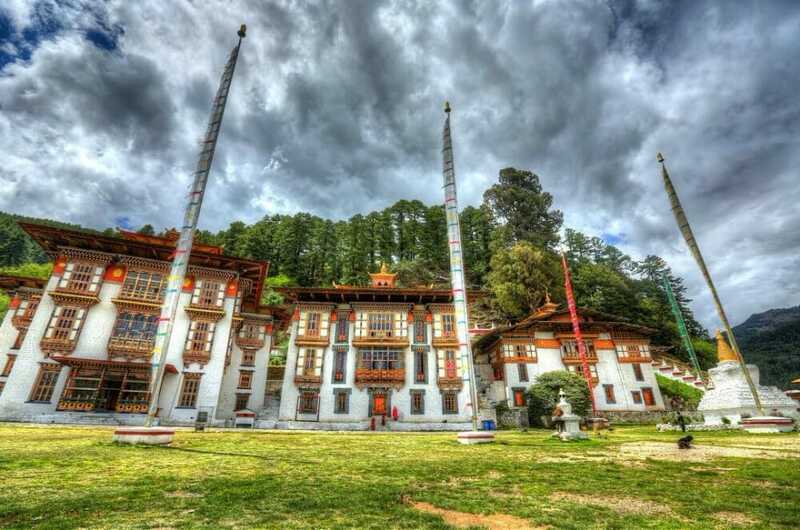 Our first Bumthang destination of the day will be the Jampa Lhakhang, one of Bhutan’s oldest monasteries built in the 7th century by the Tibetan King Songtsen Gampo. The next Bumthang attraction on the programme would be the 8th-century Kurjey Lhakhang (Monastery). A short walk from this monastery will bring you to another monastery, the Tamzhing Monastery, the most important Nyingma gompa in Bhutan. Enjoy your scenic stroll in the valley that’s called by many as the mini Switzerland of Bhutan. After our filling lunch, we’ll drive to our third Bumthang destination Mebar Tsho (Burning Lake). The Burning Lake is considered as one of the holiest site in Bhutan due to its direct relation to the religious Terton Pema Lingpa. 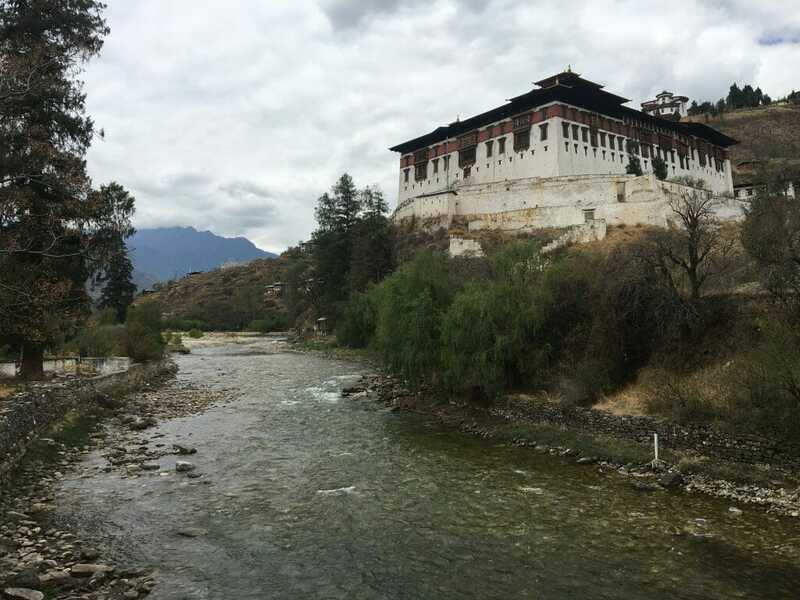 Our fourth and last Bumthang attraction would be the ancient Wangdicholing Palace, used by the first and second king of Bhutan as their summer residence. Today, it is used as a monastic school. The fourth night of your Bhutan journey will be in the same Bumthang hotel. On this 5th day of your 10 Days Central Bhutan Expedition, you’ll have to say goodbye to Bumthang as we’ll make our way to Trongsa. Once we reach Trongsa, you will check in at your hotel and we’ll then go for our lunch. After lunch, we will visit our first Trongsa attraction, Trongsa Dzong, which overlooks the gorge of Mangde Chhu (River). 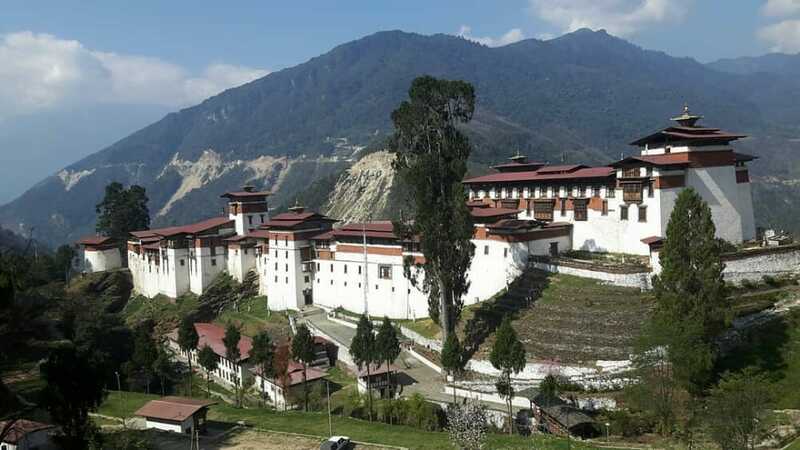 Many refer to it as the dzong with the most vantage location with unrivalled views. While in Trongsa, visit the Trongsa museum which has an extensive collection of the royal family’s belongings. You’ll spend the fifth night of your Bhutan vacation in a Trongsa hotel. 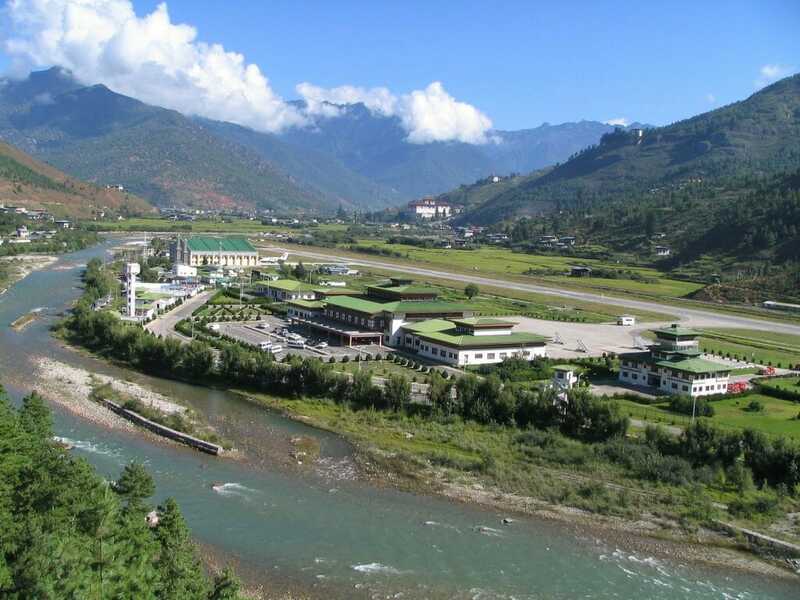 The sixth day of your 10 Days Central Bhutan Expedition will be a 4.5-hour drive to Punakha. Your lunch will be at a halfway stop on the way to Punakha while your dinner will be in Punakha itself. Get an early night’s rest at your Punakha hotel before your white-water rafting activity tomorrow. The main highlight of day 7 of your 10 Days Central Bhutan Expedition will be the exciting white-water rafting activity. After your light breakfast, we’ll drive for 45 minutes to Samdingkha village. 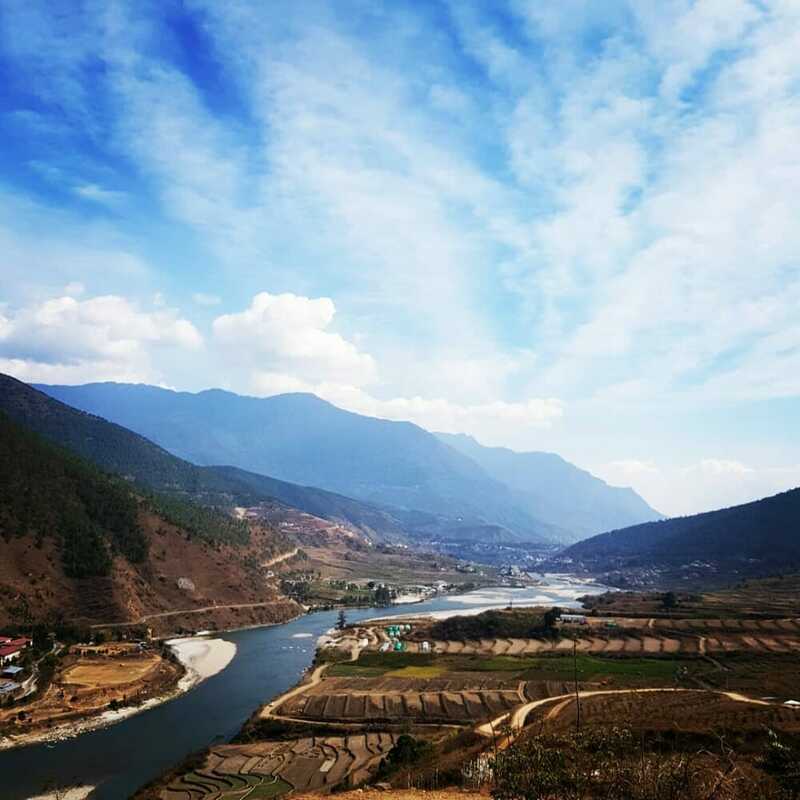 From here, we will raft the Punakha Po Chu River. 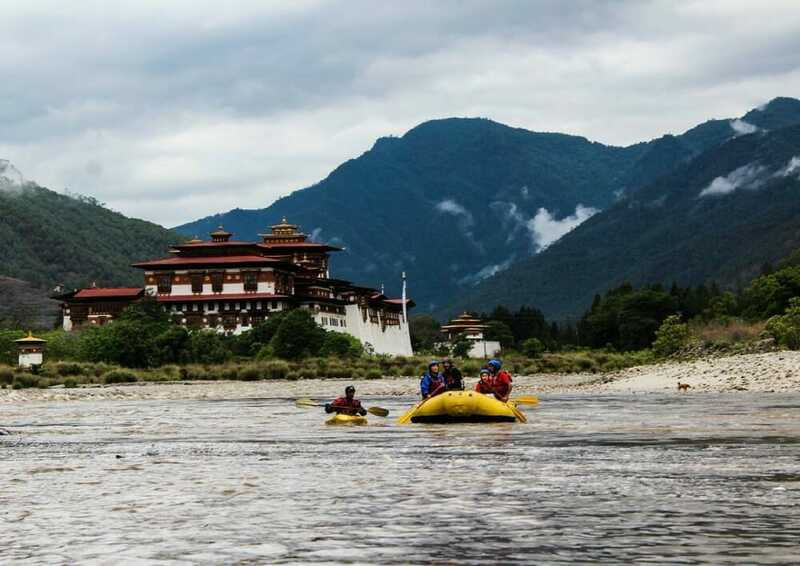 With its 16km-course and 15 rapids of class 2-4, this is the most popular rafting spot in Bhutan. Depending on the rapids on that day, this rafting activity will take around 2 hours or more. The next Punakha destination on the schedule after your rafting is a Punakha Farmhouse. 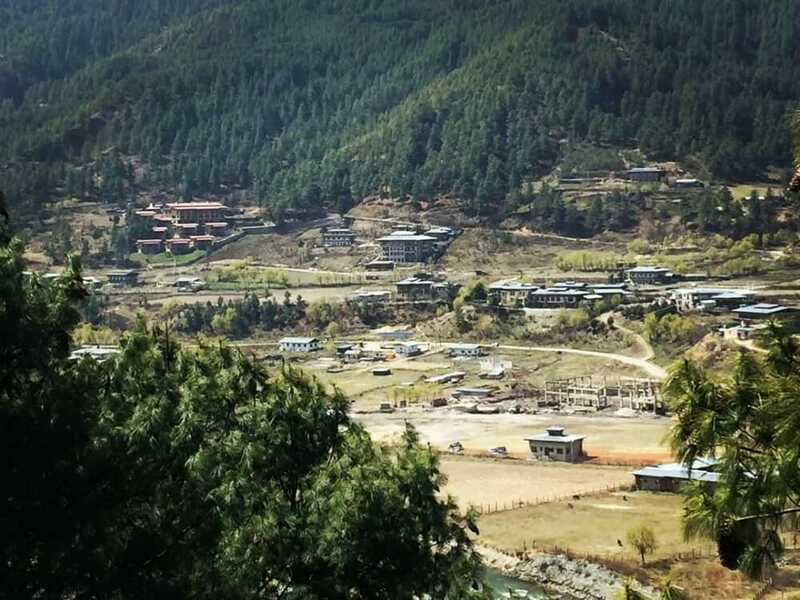 Here, you can see first-hand how the Bhutanese in rural areas live. Enjoy some home-made local snacks and beverages in the exotic setting of Bhutan village. End the seventh night of your Bhutan holiday with a stay at your Punakha hotel. The 8th day of your 10 Days Central Bhutan Expedition will be split between Punakha and Paro. First activity of the day, visit the Punakha Dzong after your breakfast. As one of the most majestic and famous dzongs in Bhutan, it is also the second oldest and second biggest dzong in Bhutan. As we make our way in a car-ride to Paro, we’ll stop at Dochula Pass for lunch. 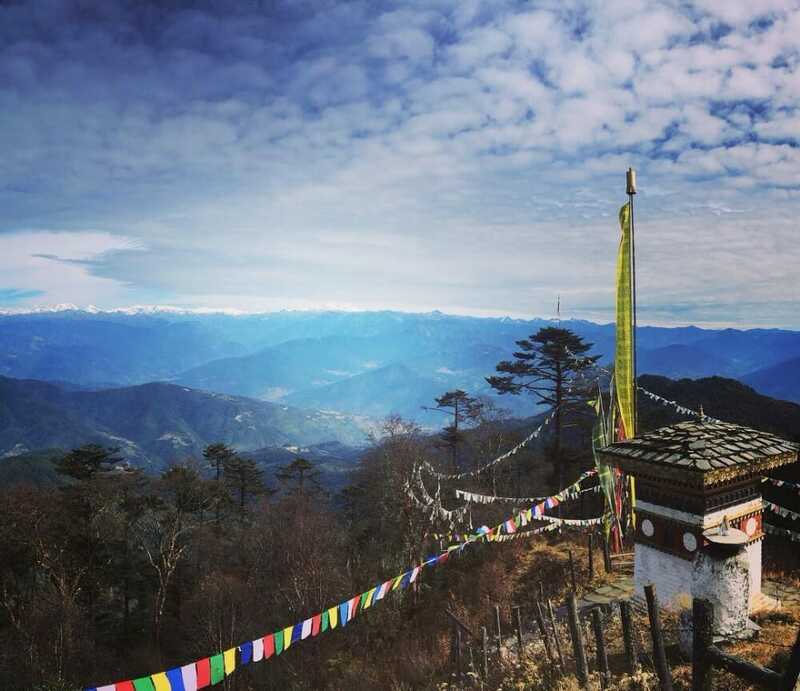 This is the most popular mountain pass in Bhutan where you can marvel at its 108 memorial stupas and also surrounding Himalaya view. Once you enter Paro, we will pay a visit to the Kyichu Lhakhang (Monastery), one of the holiest site in Bhutan. The 8th night of your Bhutan tour will be spent resting in your Paro hotel. Today is the 9th day of your 10 Days Central Bhutan Expedition. Today, you will thoroughly enjoy the highlight of your Bhutan tour; hiking the legendary Tiger’s Nest Temple Trail. You can hike the first section of the Tiger’s Nest trail either on foot or on a horse-back (with a horse guide). 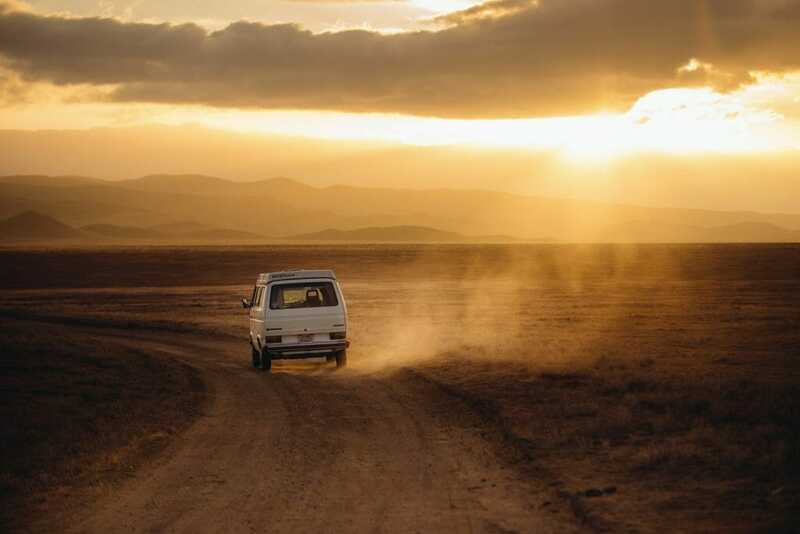 Trekking on foot should take you between 1 to 1 ½ hours. You can rest at the halfway cafeteria for as long as you like before continuing your Tiger’s Nest adventure. 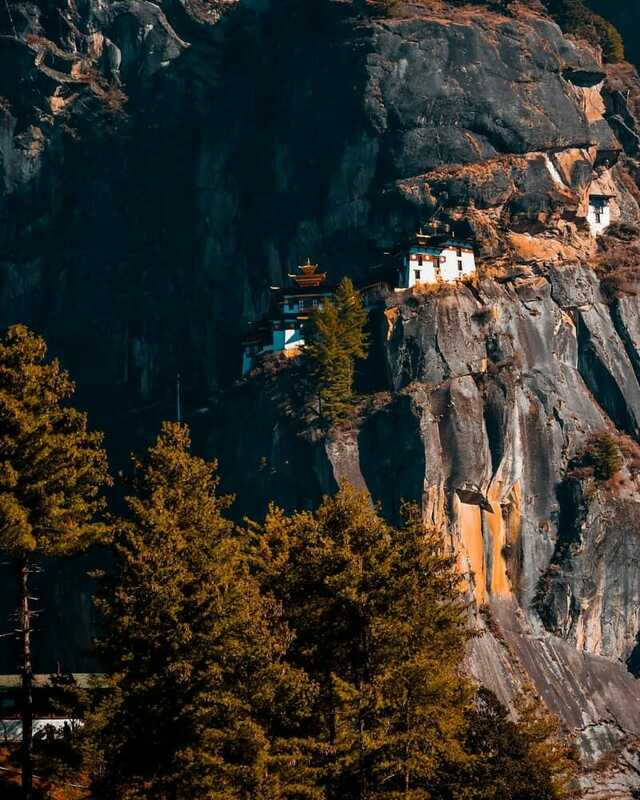 You will take another 1 to 1 ½ hours on a slightly easier path to finally reach the Tiger’s Nest Temple (Paro Taktsang). Including the lunch time at the cafeteria and temple stop, the complete trail could take anywhere between 4 to 5 hours. (Check out our Tiger’s Nest Temple Hike review for more details). After the memorable Tiger’s Nest hike, you will return to Paro for your last night in Bhutan. This is the 10th and last day of your 10 Days Central Bhutan Expedition with Bumthang and Trongsa visits. 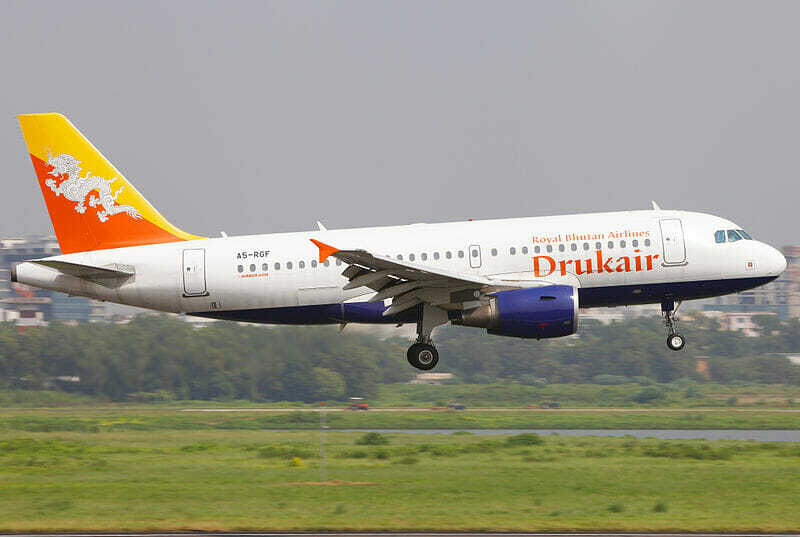 Enjoy your last free time in Bhutan before your transfer to the airport for your flight out of the country. We are grateful that you have booked your Bhutan tour with us. 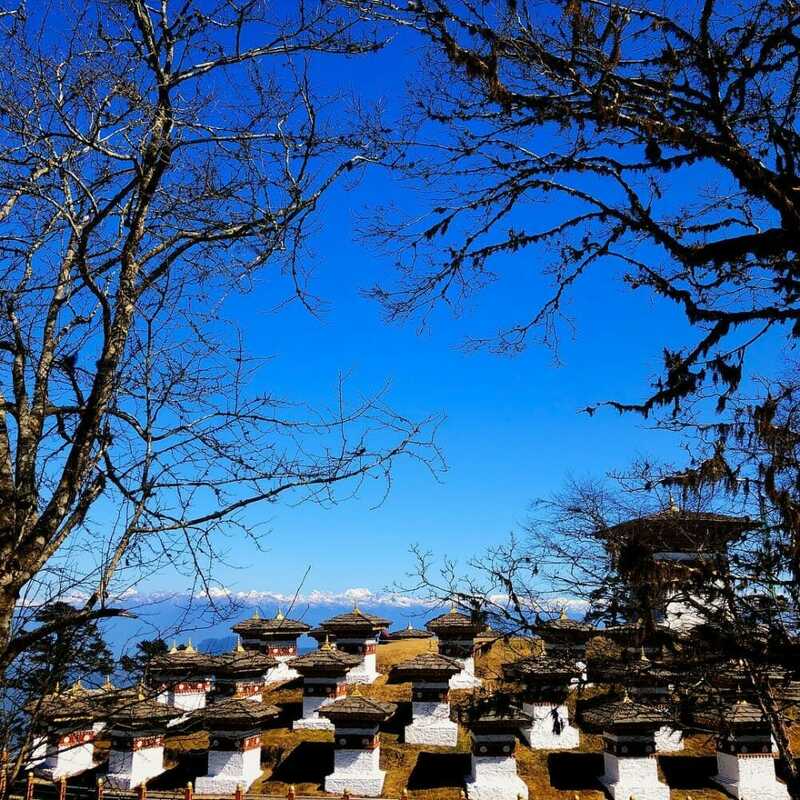 We believe that while you may soon forget your Bhutan trip costs and expenses, you will definitely not forget the memorable sights, experiences and friendships you have gained. I arranged a solo trip to Bhutan in January 2018. Initially i was quite apprehensive about taking this itinerary as it seems to be a slight to long for me. 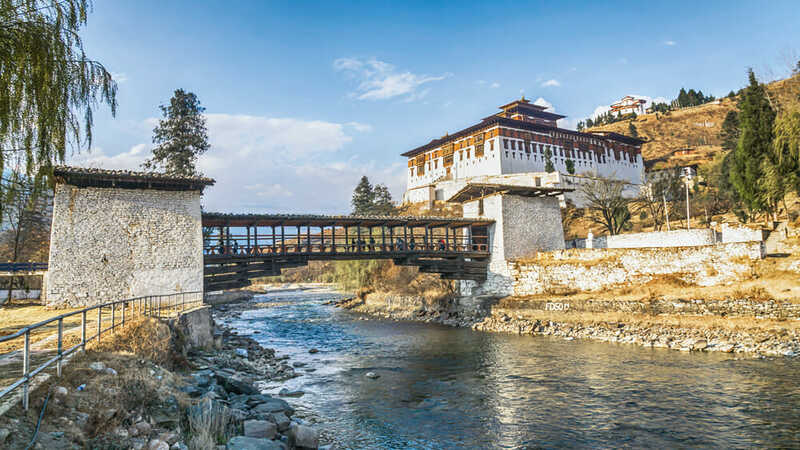 However, after some consideration, i decided to take up the challenge and got Bhutan Travel Adventures to arrange this itinerary for my Bhutan Trip. When i arrived in Bhutan, i was greeted by my guide Jigme and shortly we commenced the private tour. 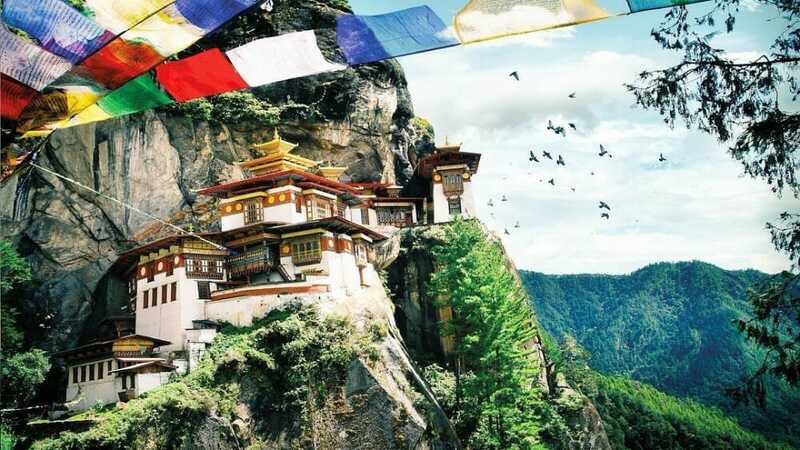 Bhutan as a destination will simply blow your mind away, everywhere in Bhutan, you are surrounded by beautiful scenery and such humble and hospitable Bhutanese people. I love Bhutan and i hope to be back again someday. The 10 days itinerary was indeed a fantastic retreat for the mind. 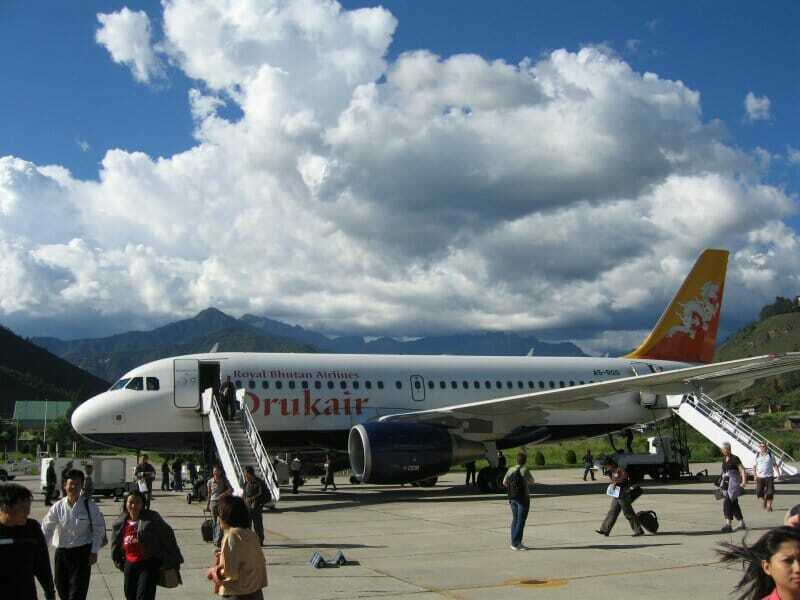 I was thankful for Bhutan Travel Adventures for arranging this itinerary and making sure that my safely was top priority. I will surely recommend them if you are considering to travel to Bhutan.